After the Cucumbers have been well drained in an earthenware colander for the receipt (recipe). 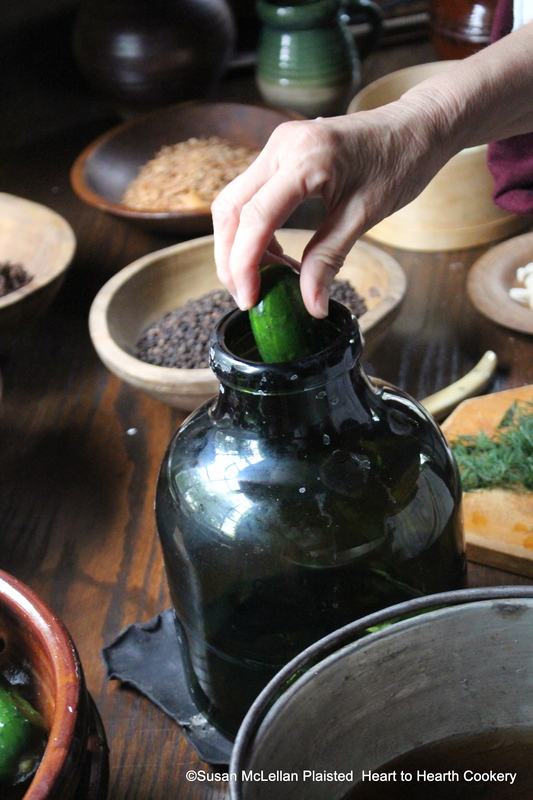 To pickle small Cucumbers which are delicious, put them in a Bottle or gray earthenware Pot. I chose to use a hand-blown glass bottle for the pickles.